This was a very memorable combination of ingredients. 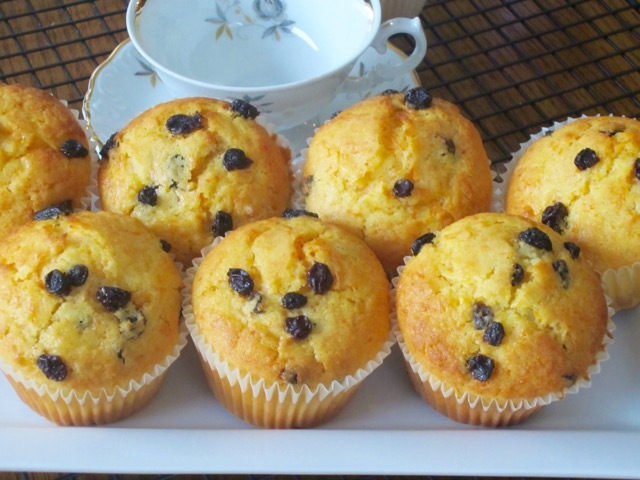 The muffins have a subtle orange-carrot taste and not too sugary at all. Please ensure you finely grate the carrots. 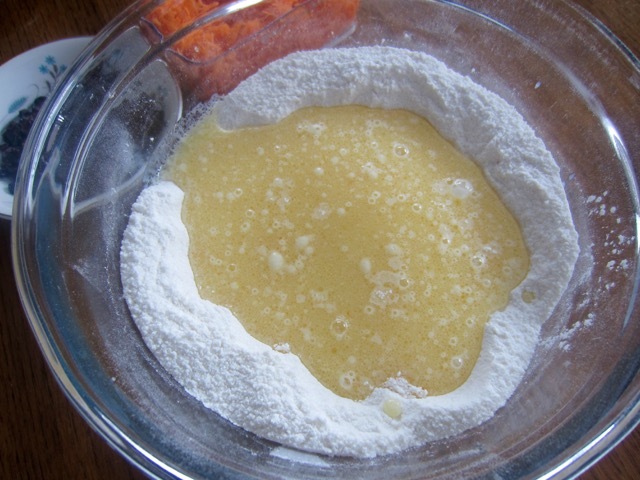 Add the egg mixture to the well and stir until just combined (batter should be lumpy-do not over-mix). 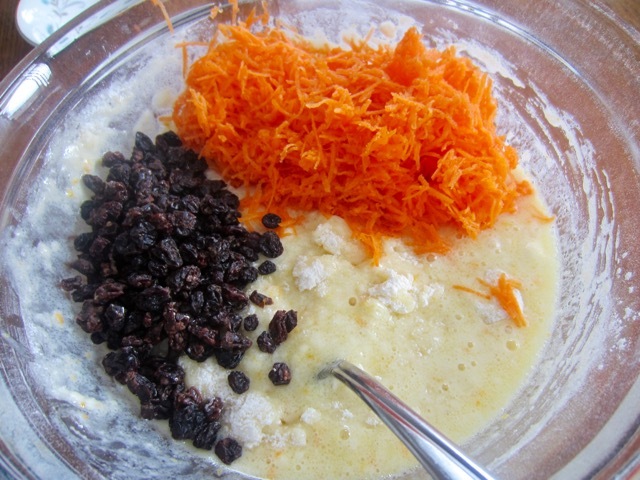 Gently fold in carrot and currants. 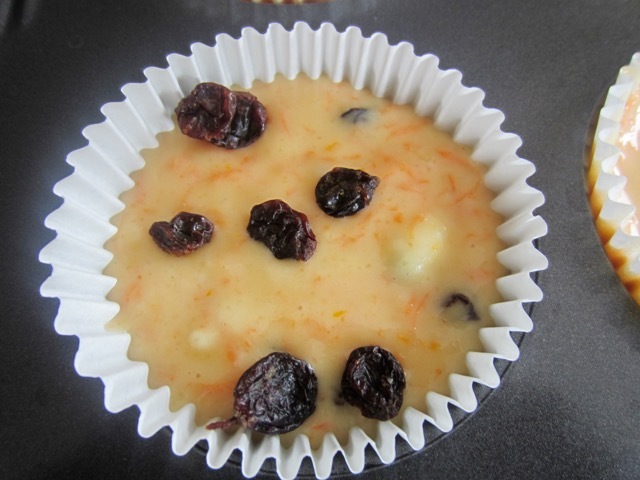 Spoon the batter into the prepared muffin cases. Top with extra currants. Bake 25-30 minutes, or until a skewer inserted in the centre comes out clean. I baked for 28 minutes. Preheat the oven to 350ºF (180ºC) convection ten minutes before using. 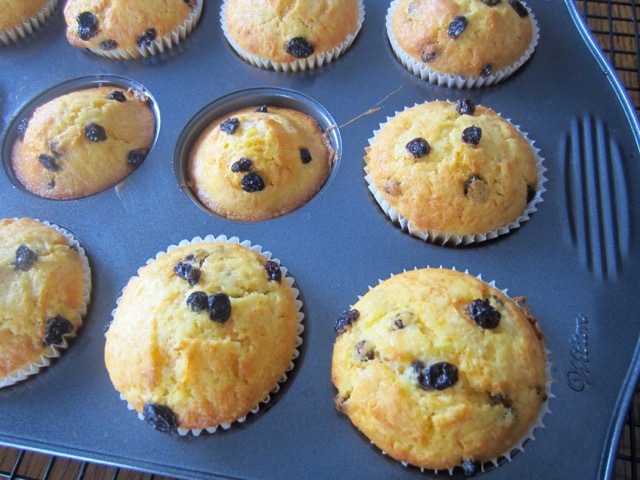 Line a 12 hole medium muffin tin (pan) with paper cases. Whisk or sift the flour, baking powder, salt and sugar. Make a well in the centre. 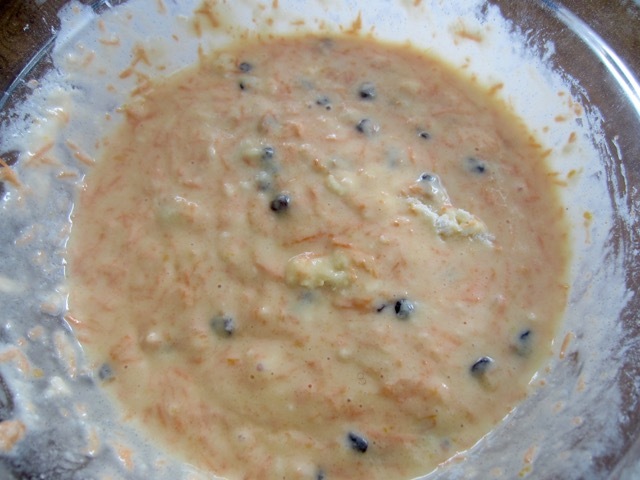 Add the egg mixture to the well and stir until just combined (batter should be lumpy-do not over-mix). 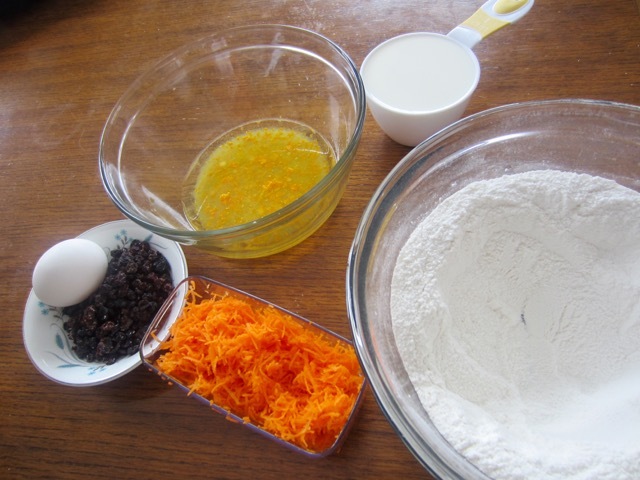 Gently fold in carrot and currants. Spoon the batter into the prepared muffin pan. 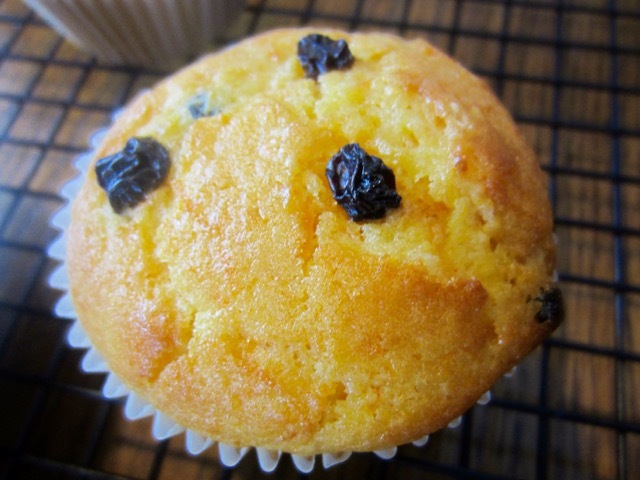 Top with extra currants. Bake 25-30 minutes, or until a skewer inserted in the centre comes out clean. I baked for 25 minutes. 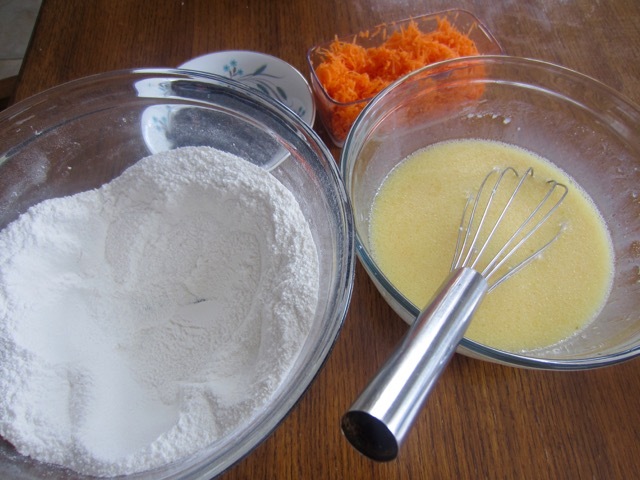 Orange syrup: combine the 2 tablespoons orange juice with the 2 tablespoons sugar and heat over medium heat. Stir until sugar is dissolved then bring to the boil and simmer for 1 minute without stirring. 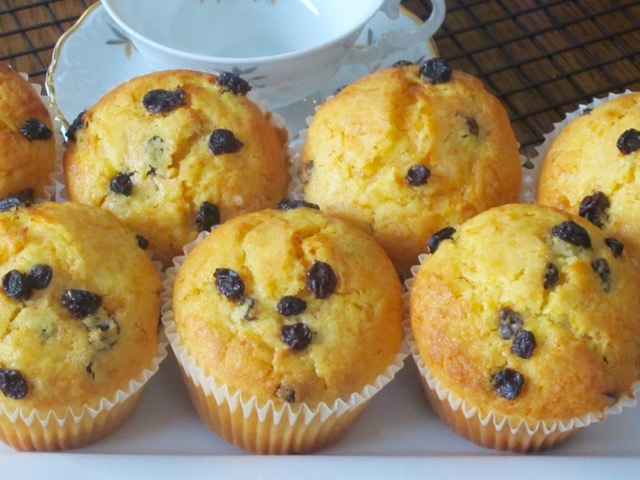 Brush on top of baked muffins while still hot. Please note that oven temperatures are given as a guideline only. You may need to add or reduce the suggested temperature depending on your oven. 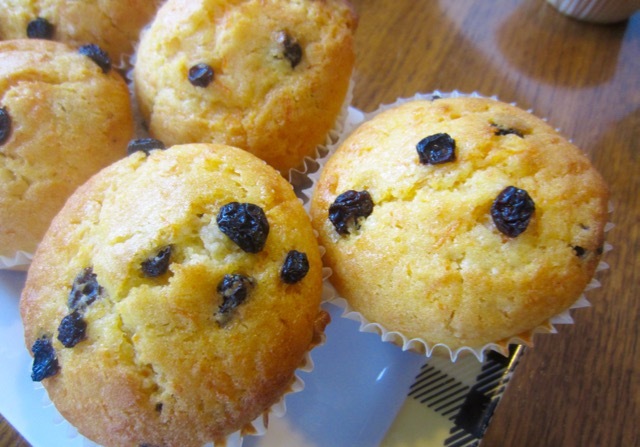 I baked the muffins at 350ºF (180ºC) convection for 28 minutes. Prev What is sugar snap pea? This sounds like a yummy flavor combination. 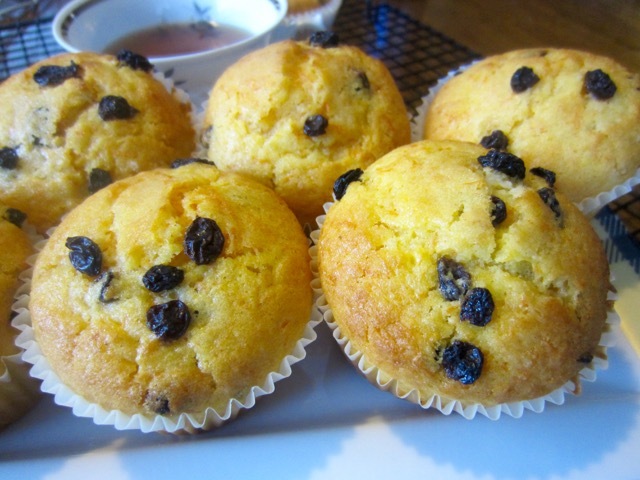 I love orange in a muffin. What goes better with carrots? I have never tried blueberry and carrot but now that you mention it. I might just give it a try. I have lots of blueberries around here! Enjoyed your post and with all of the currants I have in the freezer and don’t know much about them except to make currant cookies. Wrote the recipe down for future recipe. Great I hope you find time. They are easy peasy to make!